October has come and gone … been home from vacation for two weeks … laundry is done … suitcases are waiting to be taken to the attic. I intended to post this giveaway along with a few vacation photos the day after my return … obviously didn’t happen 😉 Why does it take me so long to back into the swing of things? It took me two days to do the laundry and two or three days to do all of the grocery shopping. There were just a few things left in the fridge, including sour milk … two of my sons actually smelled it and put it back in the fridge … never understand that one! We had a great time visiting family (didn’t take a single photo, oops!) 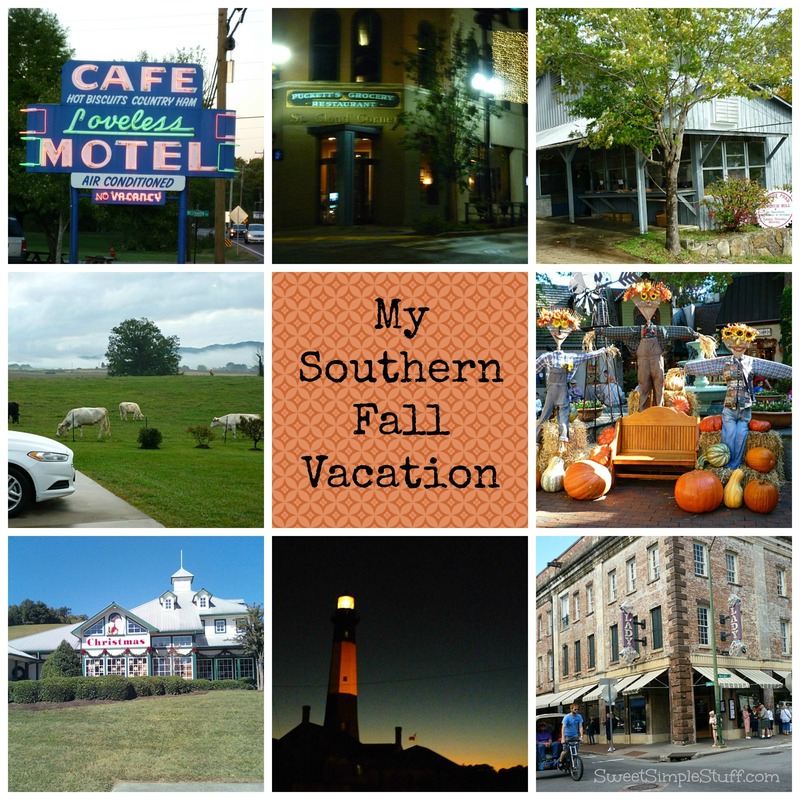 and site seeing … been to the south many times and still find new things to see and do! This is my Southern Fried Vacation in a nutshell … ate a lot of fried chicken at Loveless Cafe, Cracker Barrel, KFC, Paula Deen’s Lady & Sons and the best chicken fried chicken at Puckett’s Grocery. Had fried apples at Cracker Barrel … fried apple pies at The Apple Barn (they have a permanent Christmas store!) and Muddy Pond Sorghum Mill, where we watched the whole sorghum making process … think the hubby wants to grow sorghum now! We spent a few days with Bessie and her friends … saw some adorable scarecrows in Gatlinburg … stealing that idea for my yard next year! I love lighthouses … stumbled across one on Tybee Island. 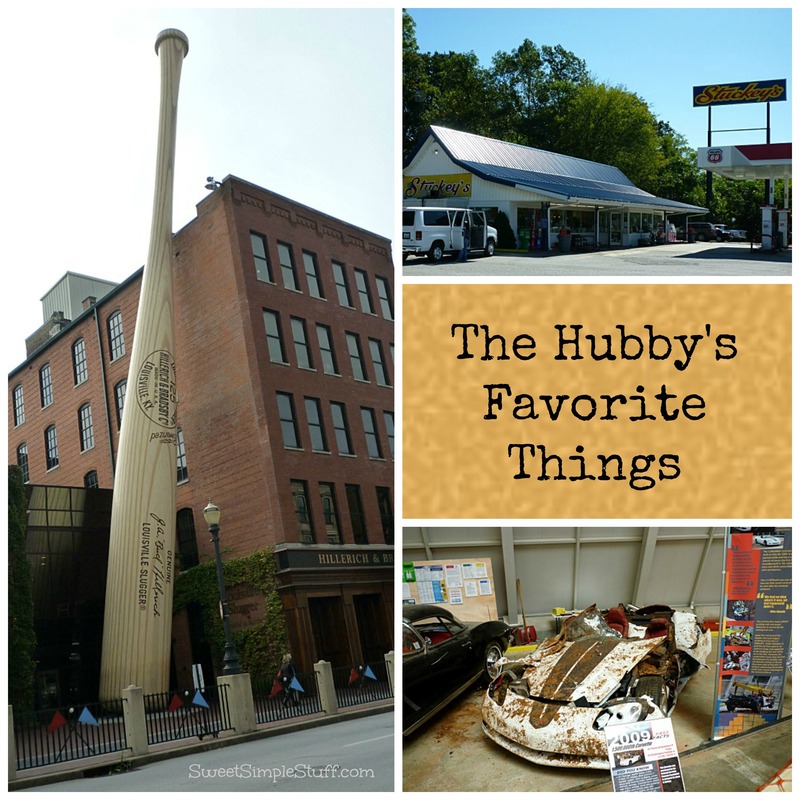 Visiting the Louisville Slugger factory may have been the highlight of his year … you have no idea how many photos we have of that huge bat! The real biggie was … he held Johnny Bench’s bat … been a fan forever and of course we have photos! I remember driving from California to Tennessee in 1973 … saw a billion Stuckey’s Pecan Shoppes along the highway … they disappeared … found one … hubby stocked up with one of his all-time favorites … Stuckey’s pecan logs! Visited the Corvette Museum and saw many fancy cars, including the ones that were recovered from the sinkhole! We visited Boone Hall Plantation in Charleston … currently a working farm. The leaves were changing colors … beautiful countryside! We did a lot of driving, especially at night … put about 3,000 miles on the rental car … thank goodness for unlimited miles. 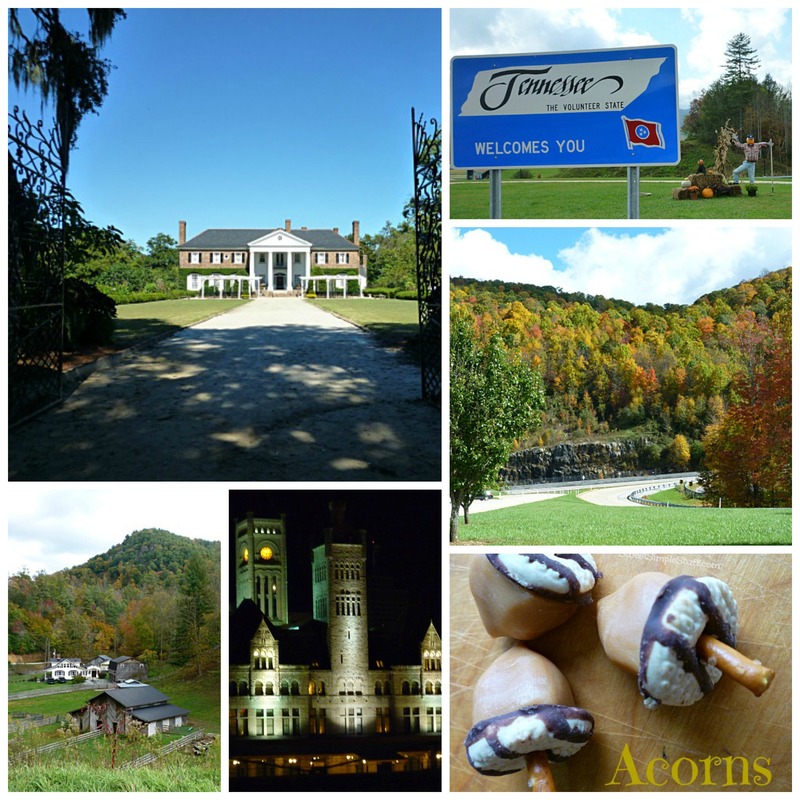 I’m still try to convince the hubby that I worked on this vacation … remember the Acorns! I’m home now and ready to really get back to work … Thanksgiving and Christmas are around the corner! I picked up a few souvenirs for one lucky person! These items were chosen because they made me smile, fit in my suitcase and I thought … who doesn’t need a few more kitchen items? 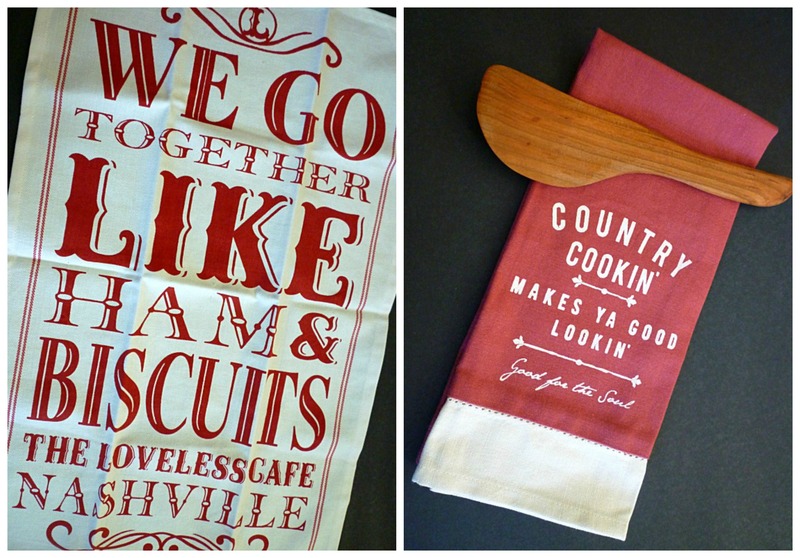 😉 The first dish towel came from The Loveless Cafe … where they serve great biscuits! The second dish towel is from Paula Deen’s store … the saying made me smile 🙂 I found the wooden spoon at The Apple Barn … made by local craftsmen … never can have too many spoons! How to enter for a chance to win these fun kitchen supplies! What was the last thing you baked … maybe biscuits, cookies or a frozen pizza? Deadline to enter is Monday, November 10, 2014 at 11:59pm PST. The deadline has passed and the giveaway is over. One winner will be chosen at random and announced on Tuesday. This giveaway is sponsored by me. What was the last thing you baked? I just can’t wait to hear from you! 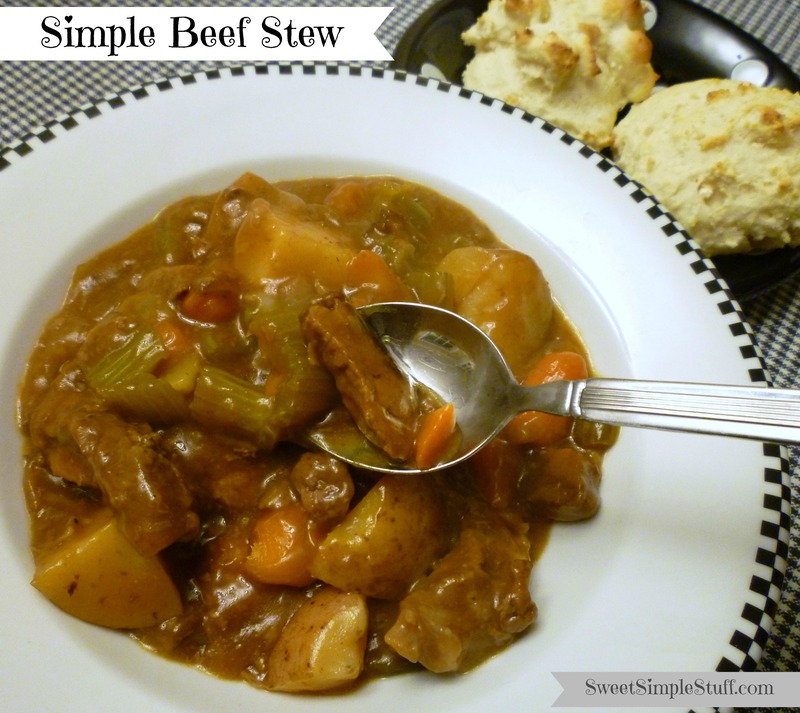 Beef Stew … it’s not Irish Stew, but it’s Stew! 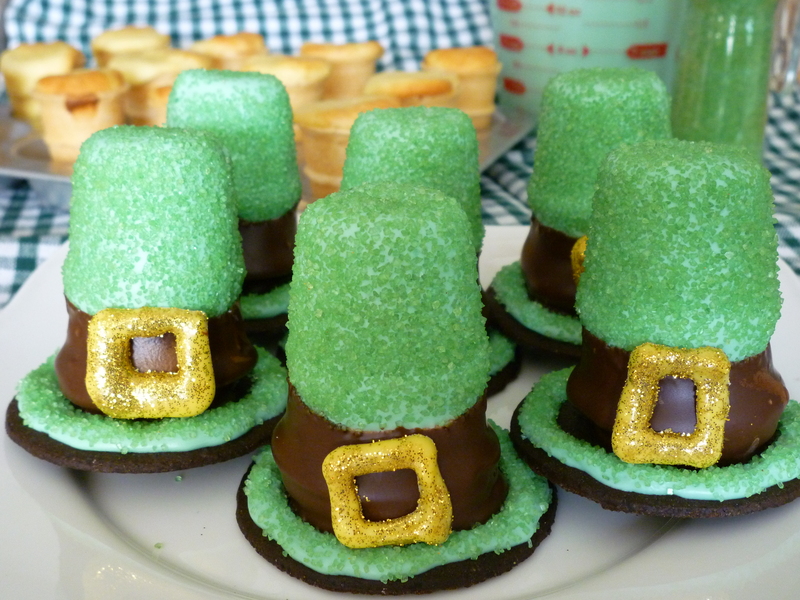 When I think of St. Patrick’s Day, a few things pop into my head … shamrocks, leprechauns, rainbows, pots of gold, Lucky Charms and luck in general. 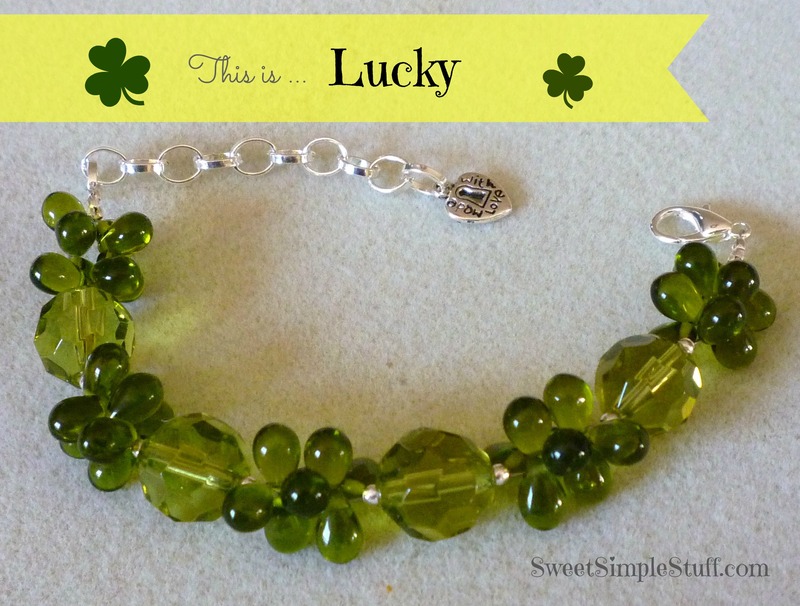 I was feeling pretty lucky when I made this bracelet and named it “Lucky”. I know, it may seem weird to name a bracelet … I guess I’m weird (my GPS is Lucy). I am going to give “Lucky” to one lucky winner! To enter, leave a comment on this post. 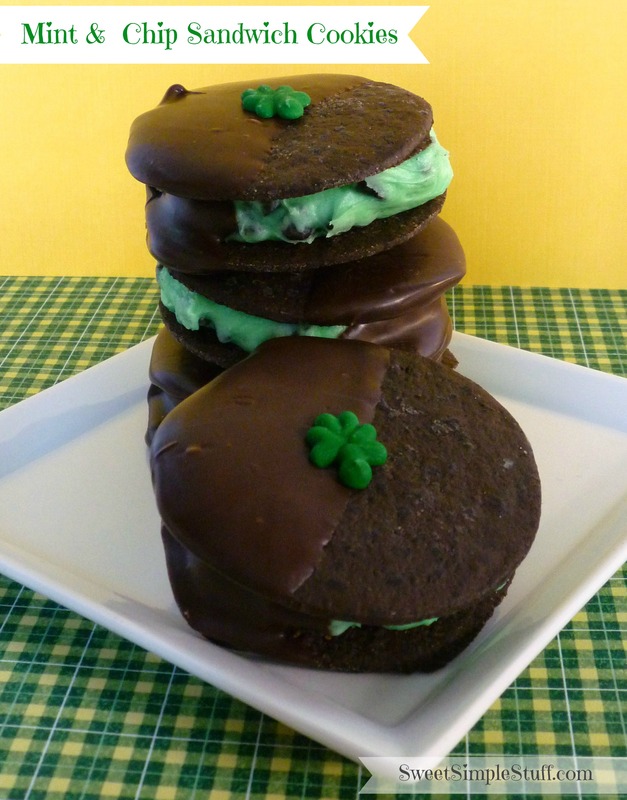 Tell me what your plans are for St. Patrick’s Day. 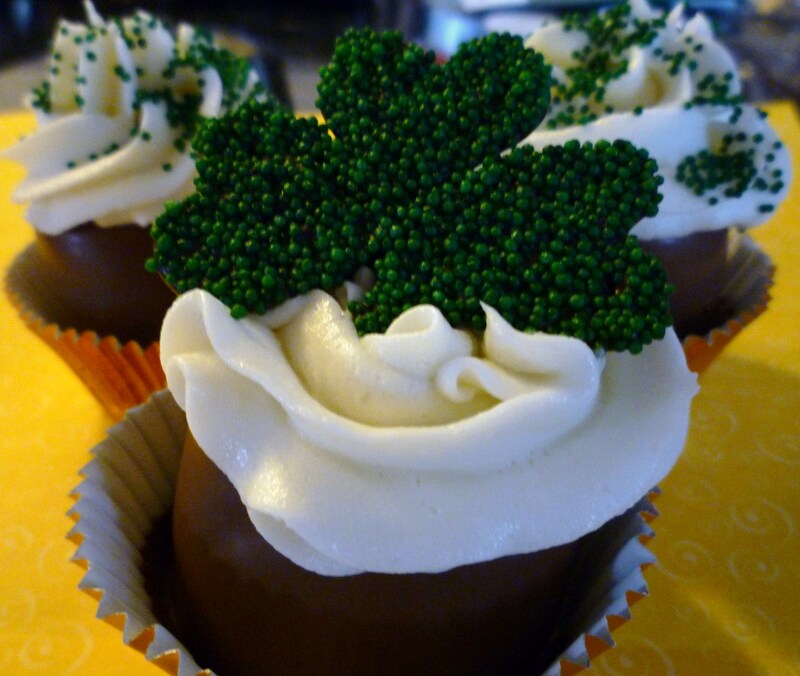 Are you having a party … going out to an Irish Pub … making green mashed potatoes … or if you are shy, just say “Hi”. One entry per person. Entries must be received by Saturday, March 16, 2013 midnight (PST). Winner will be drawn at random and announced here on Sunday, March 17, 2013. I will also send an email to the winner. This giveaway is now over (3-17-13). The winner of the giveaway is comment # 9 made by Lucinda! Congratulations and Happy Birthday … this must be your lucky day! Remember to leave your comment! 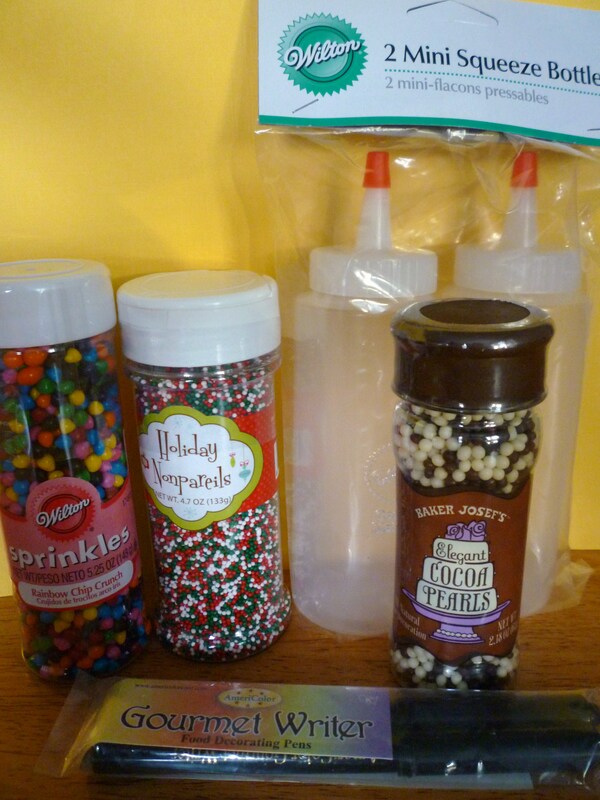 Giveaway … a few supplies for the holidays! Road Trip and a Giveaway! Supplies, Ingredients, Tools, etc. and a Giveaway !!! Do you have a favorite place to find supplies for baking, or crafting? Do you buy new equipment/tools frequently or use what you have on hand? The only place that I know to find the edible markers that I like … is at local cake decorating store or order online. So, sometimes I am guilty of hoarding … or at least buying too much … and taking advantage of coupons and sales. Anyway, if I can’t find what I want … I rely on talking with friends … because most of my friends are bakers/cooks/crafters … we can all get helpful info by networking. Here are some of my reliable sources – Cake decorating stores, Williams-Sonoma, SurLaTable, Michaels, Jo-ann, Wal-Mart, Target, dollar stores, Home Goods, Marshalls, Ross, WinCo Foods, Trader Joes and grocery stores. What are your sources? Do you have any secret sources that you would like to share? 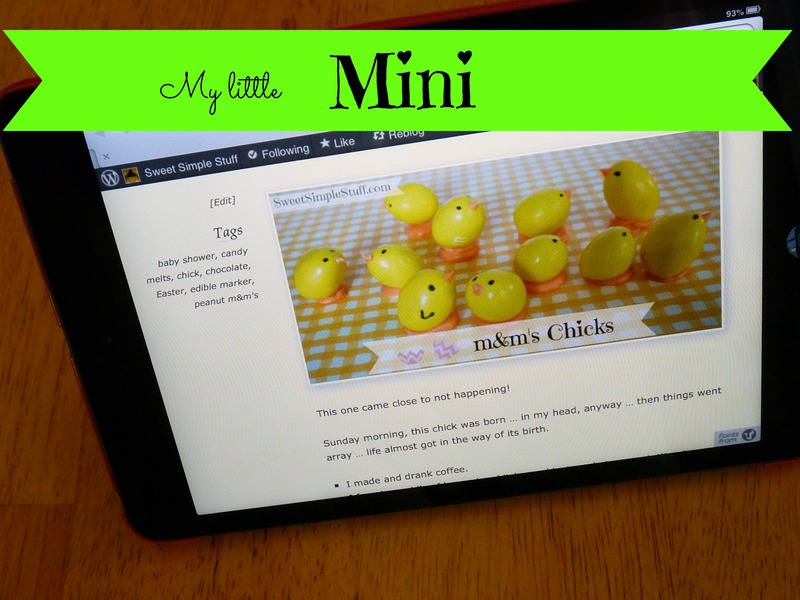 To enter the giveaway just leave a comment below … if you have a source to share, that would be great! The contest ends Tuesday, November 15, 2011 at 11:59pm PST. The winner will be selected via Random.org and notified via email. Giveaway is open to U.S. residents only and only one entry per person.